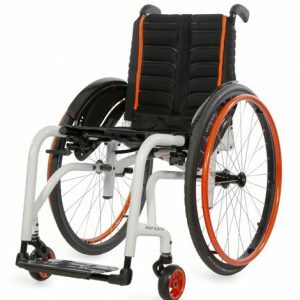 A wheelchair that has the ability to move easily within its environment; where the wheels are in the perfect spot so that young people can use all of their strength and leverage to their advantage. 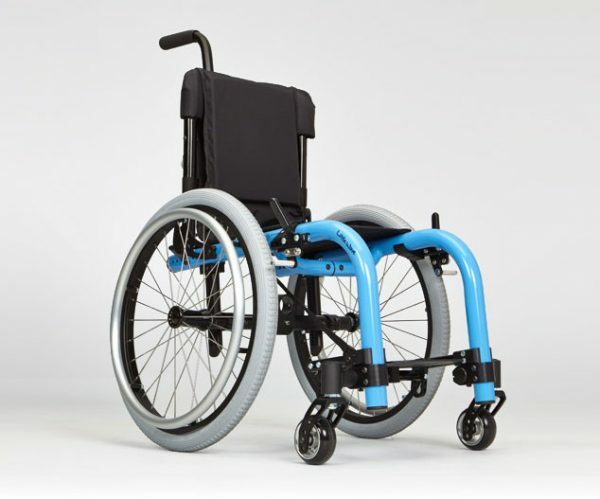 Imagine…a wheelchair that has the ability to change and grow long with the person who is using it; yet it is extremely light, simple to use and easy to transport. The signature 7000 series 1 3/8″ aluminum frame construction of our high performance rigid frame chairs is also used to construct our pediatric chair, Little Wave. This frame construction helps keep the chair as light as possible while also keeping it extremely rigid which makes it so much easier to maneuver, to move around and to help your child get the most out of every push. 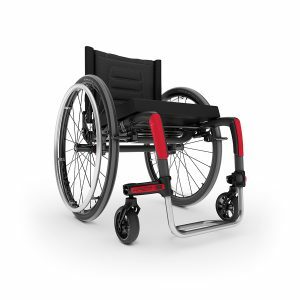 We realize that clients are always growing and changing and the options you choose for their chair need to be able to accommodate these changes with ease. This footplate allows for an infinite number of positions over time so it can be repositioned as the rider grows. The 6061 aluminum base with carefully machined edges and textured black powder coat finish will withstand the wear and tear of any army…or a 5 year old! 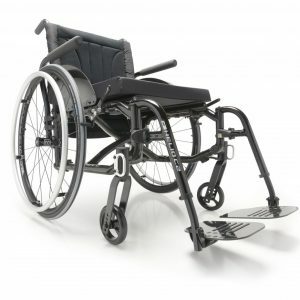 This footplate also has a strap that allows the rider to lift up their footplate without bending down. Little Wave’s in-frame expansion allows the chair to grow in width by using frame Xpanders that maintain the frames structural integrity far better than bolt-on cross bars. You don’t add it until you need it so it is not in the way and it will not add any extra weight to the chair. The depth is predetermined by you on the order form so it will be there when you need it. Up to 3″ can be selected and is no extra charge. Allowing easy and accessible growth on-frame is important in allowing the chair to grow with the rider over time, through the years. The Little Wave’s optional rotating 5th wheel permits more aggressive positioning of the rear wheels, allowing and promoting midline wheel access. 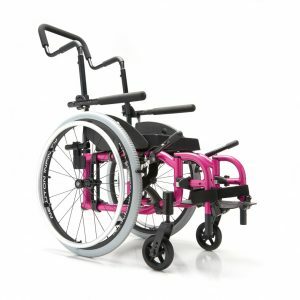 Quickly height adjustable to adapt to varied terrain and easily removable, the 5th wheel revolutionizes pediatric mobility.